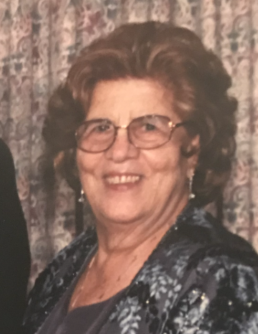 Anna Colosimo, 97, passed away peacefully, surrounded by her loving family on November 30, 2018. Relatives and friends are invited to visit Higgins and Bonner Echo Lake Funeral Home, 582 Springfield Avenue in Westfield on Sunday, December 2 from 4pm to 8pm. Funeral services will be held on Monday, December 3 10:30am at St. Theresa’s RC Church, 541 Washington Ave, Kenilworth, followed by interment at Fairview Cemetery in Westfield. and countless nieces and nephews. She is preceded by her loving husband, Vincenzo Colosimo; daughter-in-law Carmela Colosimo; parents Giovanni and Maria Pugliese; sisters Giuseppina, Teresa and Stellina. Family was most important to her and she especially cherished spending time with her children, grandchildren, and great-grandchildren. All those who knew and loved Anna will truly miss her. In celebration of her long, healthy life the family of Anna Colosimo would like to request that in lieu of flowers donations be made to the American Cancer Society.